Caravans, mobile homes, RV's, small boats and renewable power installations can all benefit from the BM-1 Compact. It is able to monitor the performance of any 12 Volt lead acid battery system with a capacity up to 600 AmpHours. The BM-1 Compact is supplied with a precision 100 Amp shunt and prefabricated cables to enable simple DIY installation. 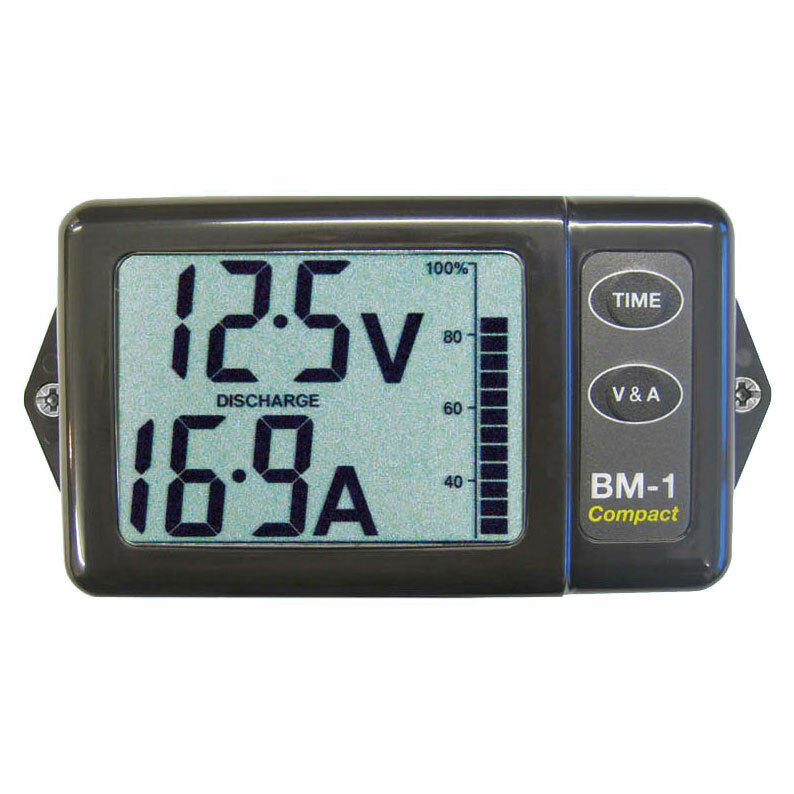 The BM1 Compact consumes a miserly 1.5mA!